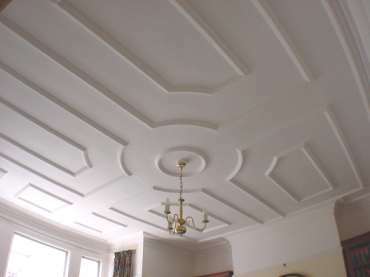 Tudorbethan styles of houses sometimes repeated the wood panelling used on the walls onto the ceiling. Alternatively wood or plaster beams were used. In terraced houses, kits of parts made complex patterns in plaster feasible. A relief paper might be used instead, or in combination with plaster mouldings.